KONG Quest is a brightly-coloured dog toy that can be used as a treat dispenser as well. The KONG Quest toys offer new challenges for your dog. The colourful toys are suitable for light to moderate chewers and can be filled with treats to extend treat time. KONG Quest is also suitable as a retrieving toy. 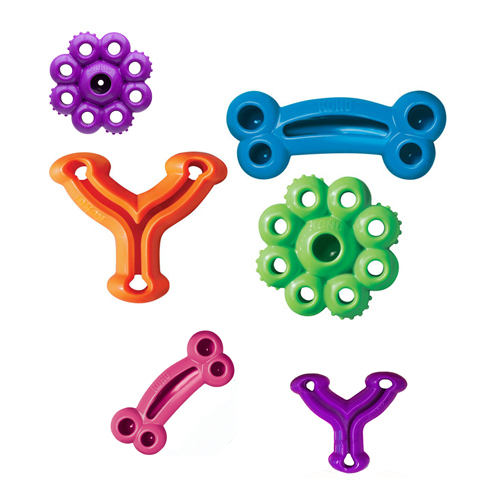 KONG Quest is made from coloured, flexible material. Your dog's teeth are cleaned while the dog is chewing on the toy. KONG Quest ships in assorted colours. Hence, it is not possible to choose a colour. Have you used KONG Quest before? Let us know what you think about this product.